Amid growing consumer and governmental pressure, cell phone providers are taking steps to curb the nuisance of robocalls. AT&T and Comcast have announced they will work together to help consumers avoid calls placed by machines. The two companies are offering authentication on calls between networks to customers later this year. When the system goes online, customers could see verified calls not only from callers using the same provider but, more importantly, from other participating providers. The companies say their successful test used phones on the companies’ actual consumer networks. According to AT&T, test calls were authenticated and verified using the SHAKEN/STIR protocol – believed to be an industry first for calls between separate providers. AT&T and Comcast also helped to develop and refine SHAKEN/STIR, which is an important tool in the broader effort to combat fraudulent robocalls. The verification protocol lets consumers know that an incoming call is really coming from the number listed on the caller ID display, making “spoofed” calls much less effective. AT&T concedes that the authentication protocol won’t eliminate unwanted robocalls by itself; however, it is a key step toward giving customers greater confidence and control over the calls they receive. Under the new system, if a call is illegally “spoofed” – or shows a faked number – it will not be classified as verified. At the same time, verification will confirm that a call is really coming from the identified number or entity. As he was addressing an audience at the Economic Club in Washington, AT&T CEO Randall Stephenson was interrupted by, what else, a robocall. Wireless providers are under increasing pressure to find a solution to the growing scourge of robocalls. Last November, Federal Communications Commission Chairman Ajit Pai laid down the law to providers, demanding that they find a way to block “spoofing” before the end of 2019. Before the end of this year, the FCC chairman said he expects all cell phone carriers to have a call authentication system in place. The companies that have made little progress, he says, need to catch up. In some areas, he says the entire industry needs to work together on this. The FCC said some carriers have committed to rolling out a robust plan in the coming months but others hedged, citing concerns that other carriers appear to have already addressed the issue. 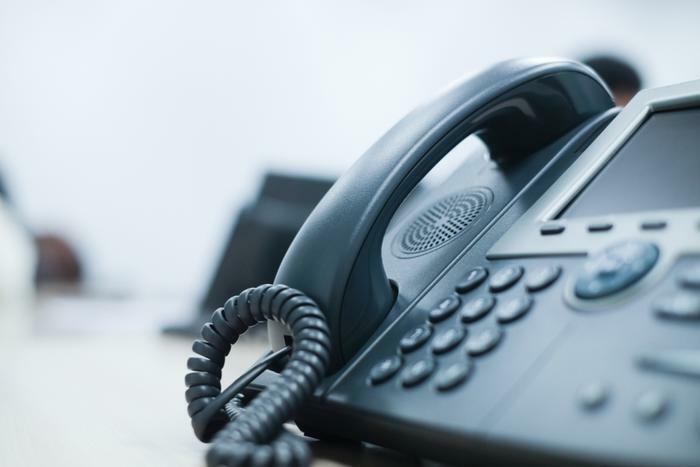 But Pai said he believes that wireless providers, interconnected VoIP providers, and telephone companies should make real caller ID authentication a priority and believes that major carriers can meet his 2019 goal. “This goal should be achievable for every major wireless provider, interconnected VoIP operator, and telephone company—and I expect those lagging behind to make every effort to catch up,” Pai said. “If it appears major carriers won’t meet the deadline to get this done this year, the FCC will have to consider regulatory intervention,” Pai said last month.